The Vitamin D Society wants to make the public aware of a new study published online in the Journal of the American Geriatrics Society, which reported that older adults deficient in vitamin D were twice as likely to report a respiratory disease as those with the highest levels(1). The study examined 2,070 adults age 65 or older who participated in the 2005 Health Survey in England. 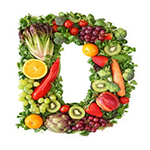 The study author, Dr. Hirani, found that people with severely deficient vitamin D levels, less than 35 nmol/L, had more than twice the risk of respiratory disease when compared to those in the highest vitamin D quartile, greater than 64 nmol/L, after adjustments for covariates. The study concluded: low serum 25(OH)D concentrations are associated with respiratory disease. Ensuring adequate 25(OH)D levels is of public health importance for older populations living in northern latitudes and may be an effective way to prevent concurrent respiratory infections and related complications in older people. There are biologically plausible reasons why serum 25(OH)D may be associated with respiratory health, Dr. Hirani reports, as inadequate vitamin D concentrations can impair the response to respiratory virus infection in the lung. The Public Health Agency of Canada reported that over 3 million Canadians cope with serious respiratory diseases such as asthma, chronic obstructive pulmonary disease (COPD) lung cancer, tuberculosis (TB), cystic fibrosis, influenza, pneumonia and bronchiolitis. Many of these diseases are tied to an ever increasing aging population and will pose a significant challenge for the healthcare system. The economic impact of respiratory diseases in Canada is estimated at 6.5% of total health care costs or $12.4B/year(3). This is not the first study to report an association between lower vitamin D levels and a higher risk of respiratory disease. A study published in 2010 by researchers from Yale University found that people who had vitamin D levels greater than 95 nmol/L (38 ng/ml) were associated with lower risk of developing acute respiratory tract infections(4). To help avoid vitamin D deficiency, the Vitamin D Society urge everyone, from babies to seniors, to have a 25(OH)D blood test, get your test score and make sure your levels are between 100-150 nmol/L (Can) or 40-60 ng/ml (USA). Dr. Robert Heaney recommends people achieve a daily intake of 35 IU of vitamin D per day per pound (75 IU per kg) to help ensure you reach optimal levels vitamin D blood levels of 100 nmol/L (Can) or 40 ng ml (USA). Dr. John Cannell from the Vitamin D Council recommends sunlight, sunbed or D3 supplementation to increase your vitamin D levels. About the Vitamin D Society: The Vitamin D Society is a Canadian non-profit group organized to: increase awareness of the many health conditions strongly linked to vitamin D deficiency; encourage people to be proactive in protecting their health and have their vitamin D levels tested annually; and help fund valuable vitamin D research. The Vitamin D Society recommends people achieve and maintain optimal 25(OH)D blood levels between 100 – 150 nmol/L (Can) or 40-60 ng/ml (USA).